Be Informed. Make the Right Decision. Mid Penn Home Inspections serves South Central Pennsylvania home buyers with their home inspection needs. Whether you are a first-time home buyer, or an experienced home owner, we are equipped with the knowledge to handle your home inspection needs. Protect yourself and your investment with a home inspection from Mid Penn Home Inspections. Wally Shank is the owner of Mid Penn Home Inspections. 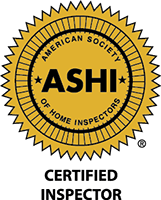 An ASHI Certified Home Inpsector, he takes pride in carrying out inspection services thoroughly and with integrity. When you hire Mid Penn Home Inspections, you can rest assured that Wally has the knowledge and experience to do the job right.